Studio of 28 m², in the city center, 50 m from the port and pond Thau. Parking in front of the studio. Ideal for 2 travelers. Close to all shops. Bus stop 30 m and beach 3 km. With a fully equipped kitchen, WiFi. Accept small animals. Rental by the night or the week. Marseillan-Plage villa T3 of 46 m2 in ground floor, located 150 m from the beach and a few meters from shops and restaurants, in a secure residence with private parking, pool, tennis and boules "The Villageoises ". Private terrace of 20 m2. Living room and kitchen of 26 m2 with sofa bed 140. Washing machine, dishwasher, hob, oven, microwave, toaster, large flat screen TV. Upstairs: 1 bedroom with bed 140, 1 bedroom with 2 bed 90, 1 mezzanine with bed of 90, 1 separate bathroom with shower and window. Separate WC with window, shower with window. loft rents for rental. || living room, fitted kitchen, 3 bedrooms, 1 with bunk beds for 3 children. || Mezzanines possible additional beds. || Air conditioner . || Terrace, swimming pool. || Near downtown, train station, 6 km from the beaches. || Calm neighborhood . In our large family home, 1 bedroom apartment with 1 double bedroom, 1 large private bathroom, 1 private toilet. 1 large kitchen. Separate entrance. Ideal for couples. At your disposal: large garden, large pool ... Parking. 10 minutes from the beach and the cap. Studio very clean and fully equipped, Residence &quot;Port Richelieu IV&quot;. <br> In the Center-Port district, in the center of Cap d&#39;Agde (Sergeants Avenue) <br> Supervised swimming pool (17 x 10 m, depth 100 - 250 cm). <br> Sleeping for 3 people (mezzanine bed with 2 beds downstairs and 1 upstairs) + possibility of a mattress on the ground for a 4th person (available in the studio) <br> Beaches 15 minutes walk <br> Studio 20 m2, flat screen TV, small fridge, electric hob, microwave, Senseo coffee machine, plancha (linens to provide) <br> Small balcony very well exposed (sun only on the evening) <br> We can rent from Sunday to Sunday to avoid holiday traffic jams. <br> Shop 50 m, grocers 100 m, restaurant 50 m, bakery 5 m, café 50 m, cyber café 300 m, pedestrian zone 100 m, bicycle rental 300 m. Marina 100 m, golf course (27 holes) 1. 5 km, tennis 1 km. Nearby attractions: Aqualand 1. 5 km, Ile des Loisirs 1. 3 km. Owner rents, sharing (colocation) with him, a studio cabin of 34 m² with three separate rooms with bed of 140 cm and a small bed of 90 cm. The owner, being a naturist, accepts people practicing naturism. 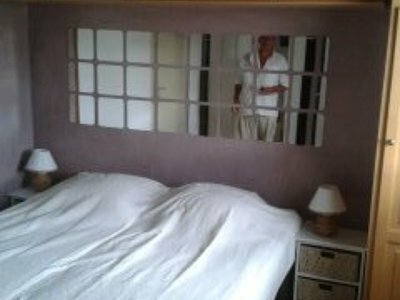 The apartment is 5 minutes by car from the naturist village. The pedestrian entrance to the naturist village is not included in the price of the room. Apartment with all comforts, located in the center of the resort 600 m from the beach, 5 min from the port center, in front of the Clape pine forest, near the naturist area, about 15 min walk and all shops Proximity. Very, spacious to rent. Comprising a south facing terrace of 35 m², 1 bathroom and toilet. With 1 other WC and 1 shower and washbasin adjoining one of the 2 bedrooms. A kitchen opened on the dining room, a living room equipped with 2 sofa beds. Located at 500 m from the beach (10 min on foot), shops at 5 min. Close to Aqualand, not far from the port: 15 min on foot. In a residence secured with digicode. Private and secure parking. Possibility to rent a few days by contacting the owner. Prices vary according to season. A very nice apartment any comfort, to rent, in a reassured residence. With private parking available. It can accommodate up to 8 people, with 6 to 8 people. With a view on an arm of the sea of ​​the terrace of 35 m ². Located close to shops. Aqualand next, leisure island nearby, port 15 min walk. You will be pleasantly surprised by the space of our accommodation. The living room and dining room have new colors the photos are to change. Appartement traversant est/ouest en résidence sécurisée, face au port, sur l'ile des pêcheurs à 100m des commerces et 500m de la plage, accès piscine hors de la résidence Superbe vue mer en 1er ligne salon séjour -- cuisine équipée salle d'eau -- wc indépendants, parking privé Accès aux navettes fluviales depuis la résidence. Owner rents in shares (roommate) with him, a studio cabin of 34 m2 with three separate private rooms with 140 cm bed and a sofa bed 130 cm. || || The owner, being naturist, practitioners accept people naturism. || || The apartment is 5 min drive from the naturist village. The pedestrian entrance to the naturist village is not included in the room price. Apartments all comfort, in the center of the resort 600 m from the beach, 5 minutes from the port center, opposite the pine forest of Clape, near the naturist resort, about 15 minutes walk and all trade Proximity. Gostaria de encontrar um arrendamento em Marseillan ? Marseillan é uma vila charmosa situada a Franca. Com Roomlala, os habitantes de Marseillan estão muito felizes em lhe receber, pouco importa a razão de seu arrendamento (turismo, viagem, realocação profissional, estágio, estudos, etc.). O site está a sua disposição para ajuda-lo a encontrar um apartamento para alugar mobiladado em Marseillan ou um quarto em casa de família em Marseillan. Qual é a diferença? Ao alugar um quarto com os habitantes, aluga principalmente um quarto, dentro de uma casa de família ou alojamento de um residente de Marseillan. Encontrar um apartamento mobilado em Marseillan é alugar um estúdio, um apartamento ou uma casa em que o proprietário está no local. 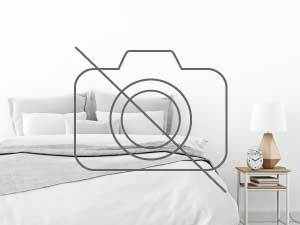 Em todo caso, os arrendamentos dispõe de equipamentos básicos que os fazem um "arrendamento mobilado". Graças á Roomlala, pode encontrar um colega de quarto ou apartamento em Marseillan. Se já encontrou uma acomodação (casa, apartamento), pode simplesmente publicar um anúncio gratuito para procurar futuros colegas para partilhar o espaço. Se ainda não encontrou nem acomodação, nem colegas para dividir o arrendamento, pode encotrar diretamente um quarto com alguém que esteja dividindo sua residência em Marseillan, na região de Marseillan de sua escolha, para curtas e longas temporadas (alguel de quarto por mês ou por ano). Para estadias mais curtas, nossa plataforma permite-lhe também que procure quartos em hotéis em Marseillan ou um "bed and breakfast" (quarto apenas para dormir) em Marseillan, proximo á lugares turísticos em Marseillan.Por ocasião de um aluguer de férias em Marseillan, poderá visitar lugares imperdíveis e também passear pela cidade. Será capaz de caminhar pelas avenidas e ruas mais famosas. Outra possibilidade: está a procurar por uma acomodação em Marseillan? Roomlala também lhe propõe arrendamentos contra serviços como babás, auxíliar de pessoas idosas, suporte escolar, ajuda com á fazeres domésticos, o arrendamento entre gerações, ajuda á um estudante, a estadia au pair, o quarto contra serviço, etc.